A panel of judges have had the unenviable task of picking out 11 winners from 52 nominations in Aycliffe Business Park’s fourth annual Make Your Mark awards competition. The 52 submissions involve 32 separate companies all vying for 11 different awards which will be dished out during the grand final at the Xcel Centre on Thursday May 24. Seven judges deliberated for several hours to whittle each category down to shortlists before selecting the 11 winners. 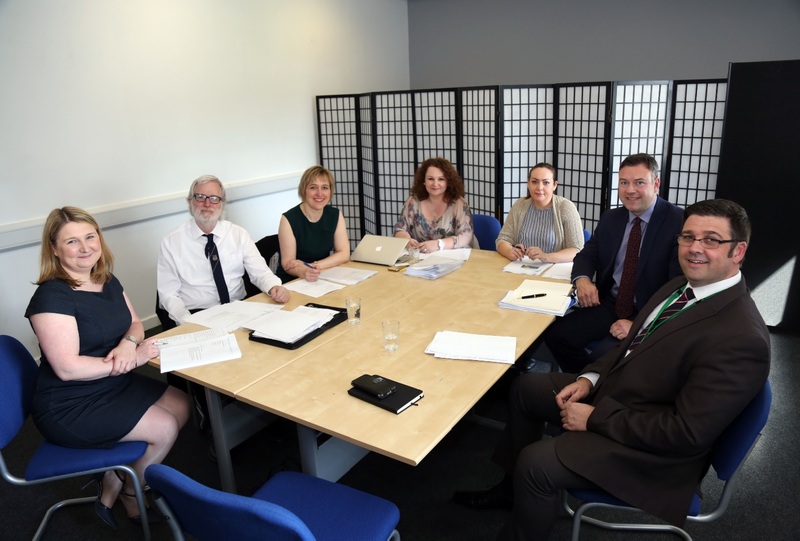 The panel included ABPC chair Kerina Clark, Sarah Slaven from Business Durham, Durham County Council Cllr for Newton Aycliffe John Clare, Sharon Hutchinson from Endeavour Partnership, Liana Fish from Logico, Michael Vassallo from Maven Capital Partners and Neil O’Connor from Fleet Recruitment. Kerina Clark said: “Yet again it’s been an incredibly difficult job for the judges to shortlist, let alone single out one for each category. “But as chair of Aycliffe Business Park Community it fills me with pride and optimism that we have such a high level of quality companies and people working amongst us, all achieving great things in their own sectors. Cllr Clare, who was handed an ‘Aycliffe Ambassador’ award at last year’s Make Your Mark event, said: “Judging the categories was tremendously difficult. The achievements of ALL the nominees were outstanding – that was why they had been nominated. Neil O’Connor, managing director of Fleet Recruitment, said: “This is the first time that I have been involved in judging the Make Your Mark awards and I was amazed at how difficult it was. It was really tough and quite emotive, particularly the best apprentice award. “Applications for all categories were excellent and in most cases it came down to fine margins when selecting the winners. Sharon Hutchinson, operations director at law firm Endeavour Partnership, added: “Having seen the impact that the Aycliffe Business Park Community group has had on my home town, I was delighted to be able to get involved in some way. “The Make Your Mark Awards have become a key date in the diary, so it was fantastic to get a peek behind the scenes, particularly to see how the decisions are made.